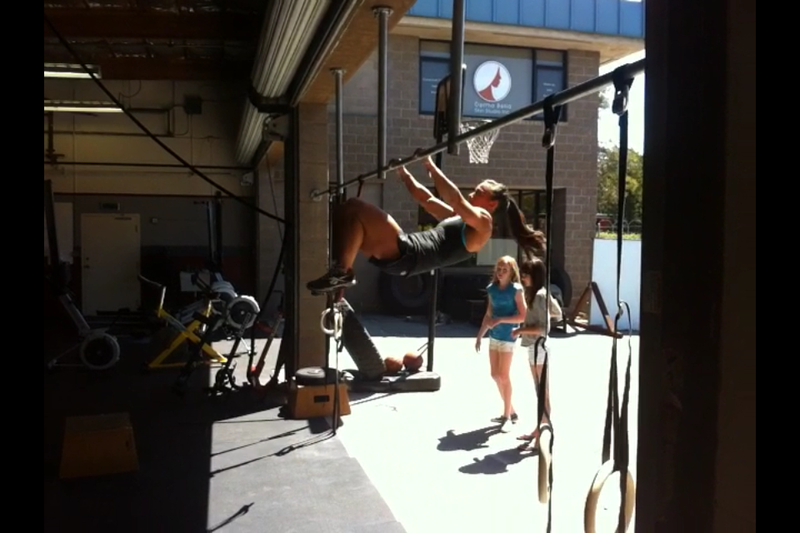 We were playing around today with some different methods of performing a bar muscle up. One of the most effective ways we saw today was the technique where you swing your hips up high to the bar in that loaded or flexed position before you explosively open or extend them. With this swing you also get into a more laid-back position. Here's a shot of Annie at that point where she has swung her hips up, but has yet to open or fire her hips in extension. You see in this next shot how her hips are extended and her body has been propelled upwards, a little behind the bar with still some lay-back. 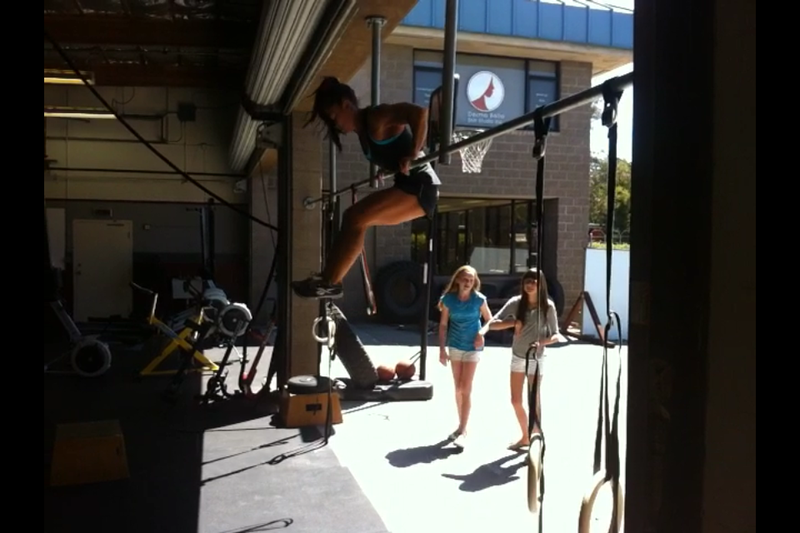 After you've got the height, all that is left to do is throw your head through and you'll be on top of the bar! Here's the video of Annie's last set. Another important part of the bar muscle up when you are doing multiples in a row, is to leave your feet in front of you on the way down. This will help you keep a rhythm and balance into the bottom swing position. Can you see how she waits to fire her hips open until they get a little height? Was The Bar In Your Throat?